Home » From Suneeta's Desk » One size does not fit all! When the SOMEs (Self Organised Mediation Environments) were first setup in 2008-2009 (Yes, that is the academic term for The Granny Cloud, and it is what we began with), it was in the context of the first observations of the children and the schools that were part of the OGEF project. 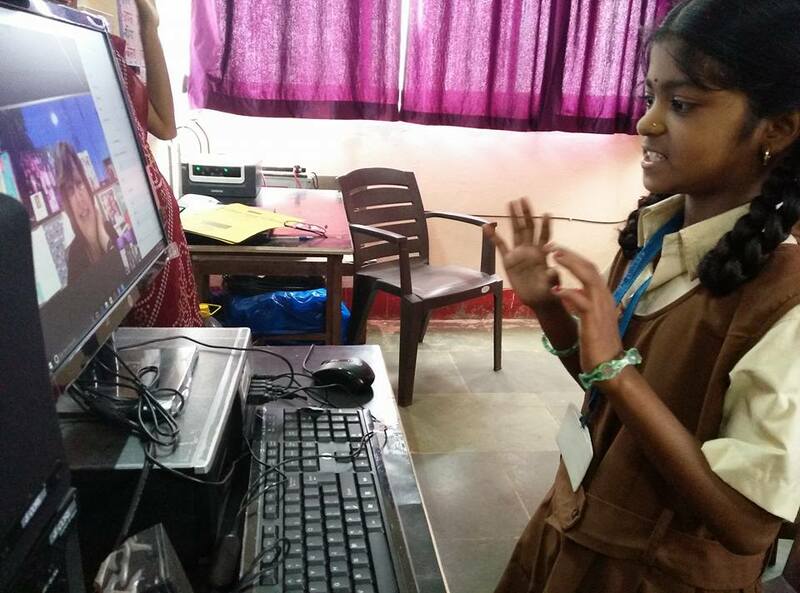 http://solesandsomes.wikispaces.com/Research Even though all the Hyderabad SOLEs were in (ostensibly) English medium schools, it became painfully clear that neither the children, nor the teachers had adequate levels of fluency in English. And this made it rather hard for them to attempt BIG questions or to have SOLE sessions. Just to illustrate, there would be children who, in response to a big question presented to them, would type something up in the Google Search Box and then laboriously copy out in their notebook the first thing that came up, which was quite often “no matches were found for this search”. Comprehension was pretty much missing because this is what many of them would come up to me and show as their ‘answer’! Familiarity with computers was just developing and the only time they really had in the lab was during a scheduled SOLE period. Typically 2-3 times a week. 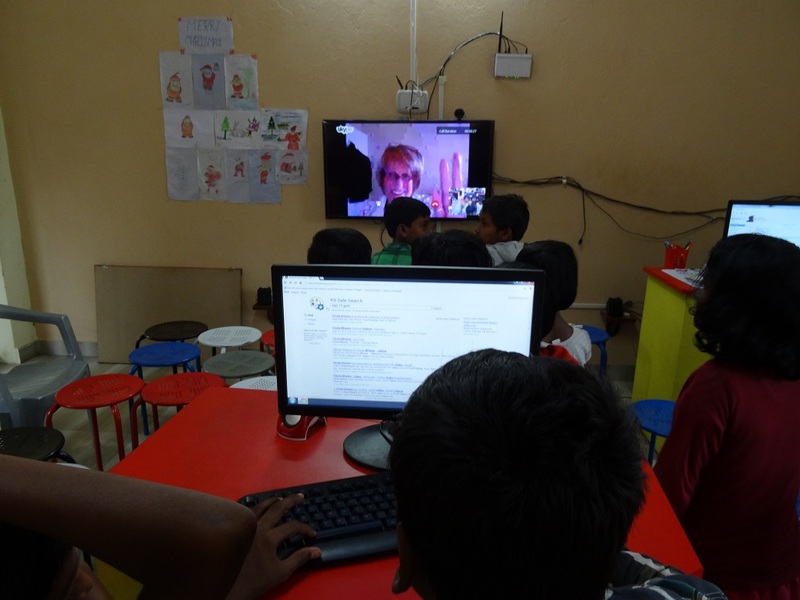 https://www.academia.edu/1925316/Access_and_Quality_in_Self_Organized_Learning_Environments A far cry from the situations in which Sugata conducted SOLE sessions in the UK or other schools that were keen on really trying out the idea. So it was in that context that Sugata initiated the idea of the SOMEs or The Granny Cloud as it is known to day. (I often get asked what is so self organised about The Granny Cloud – and believe me there is a lot! But about that another day, another blog.) This was the first step in an idea that has continued to evolve since then – with specific goals and strategies developing depending on the needs of each new group we began to work with. The goals and strategies also changed as groups became more familiar with, and could use the resources of the internet and the facilities of the labs more competently. Anyway, we began with the key goal of using this eMediation as a way to raise the children English fluency levels to the point where they would begin to make some sense of what they ‘read’ on the Internet. The attempt was to simulate, in some small measure, the kind of environment-atmosphere we have as young children learning our native language at home. Listening to a ‘grandmother’ (all family members really!) tell a story, sing a song and Voila! You start to pick up the words and their meanings through their ongoing use in association with the objects, their pictures, related sounds, hand gestures, and very expressive faces! So the focus was on Comprehension. Reading as well as Listening Comprehension. And of course, this merged into the next related goal. Which was that the children would be able to converse with the Grannies, and share with us what they had found on the Internet and talk about their thoughts. A part of what Sugata refers to as Communication these days. Of course all of this was expected to happen within the context of what is the epitome of a grandchild – grandparent relationship. Fun! No specific pressure to ‘perform’ or to ‘achieve’, yet a great deal of encouragement and support and caring for every little step forward! (Remember Bronfenbrenner? ) Warmth and acceptance were (and continue to be), as you might expect, natural corollaries. But of course, not every group we came into contact with was the same as the others. Nor did every group remain the same. Obviously not! So what we did with any particular group even at the start, or with a specific group a few months or more after beginning our interaction with them kept evolving and changing. Even at the very start, within a week of The Granny Cloud being set up, we had realised that it wasn’t going to be ‘just songs and stories’. That might have been the starting brief but the Grannies were already (successfully I should add!) exploring several other activities including craft and puzzles with the children. The diversity in the groups of children we interact with has only continued to grow. Not just in terms of the starting level of fluency in English but in terms of age (we interact with 3 year olds as well as 17-18 year olds), socio economic levels and the associated availability of resources and exposure at home and school (although our focus is clearly on the disadvantaged), the kind of resources available in the various locations – schools/labs/centres – ranging from highly educated, tech savvy and competent coordinators, and full-fledged labs, all the way to centres which had only one office computer shared between children and staff, and coordinators who are enthusiastic but with minimal technology and English skills. Some locations involve ‘one off’ sessions, yet others a regular involvement sometimes spanning year or more. 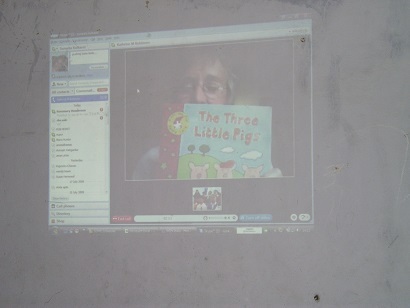 So with some groups the Grannies have modified SOLE sessions over Skype, with yet others ‘mini SOLE sessions’ with a ‘not so big question’ so the children can rush back to ‘Granny’ with an answer! Other groups engage in a project with ‘Granny’ over several weeks and design the city of their dreams. Still other groups play versions of “20 questions”. And there are groups that revel in an action song. The delight is only too evident on their faces as they begin to put meaning to the words they are singing, or as they competently ‘read off’ a word that Granny displays. Activities and their purposes keep changing. Sometimes it is to gauge their interests or readiness levels for task requiring different skills, and competencies. At other times these are just to get conversations started. The children navigate the world – familiar and unfamiliar – along with the Grannies who give of themselves, and receive from the children not just love, but the wisdom of a different perspective. Anyway, as you might imagine, the ‘goals’ set and ‘strategies’ used with each of these groups are quite different. And they keep changing! In all this, there are a few goals that remain constant even though they might find expression to a lesser or greater extent. The level of search activity expected, presentation of findings are among these. Because underlying it all is the hope that we will be able to enable the children to not just search and find information – but reflect on it, question it, and arrive at their own rational conclusions. And that they will, through all these experiences, become confident, happy young people. So yes, the overarching and unchanging goal is that this learning will happen through self-motivation; driven by the children’s interests and through their very natural curiosity about the world around them. And that the children (and the Grannies) will ‘just have fun’ as they go about it!